2By2 Gaming has just released the Lost City Of Incas slot which will take you back to the ancient civilisation from South America. It is a 5 reel slot with 25 fixed paylines. The high value symbols are the Inca chief, a lady with a hat, a treasure chest, a map, a llama and a red flower. The game’s logo is wild and can appear on all reels except the first. There is also a golden scatter symbol. On each spin stacks of matching symbols can land on the reels and then turn to gold and payout 2x any win they form. The main bonus game is triggered by landing three scatter symbols. 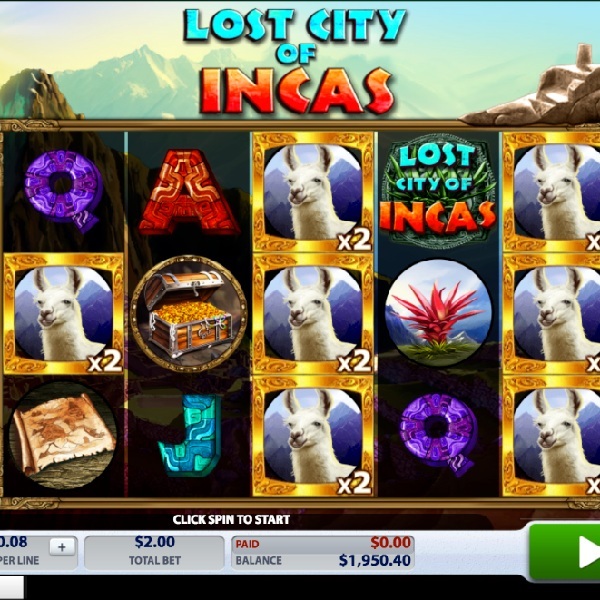 You then pick positions on the Inca pyramid to reveal how many free spins you win. During the free spins only high value symbols are on the reels.